Bea Palya is a distinctive figure of the Hungarian world music and songwriter scene. 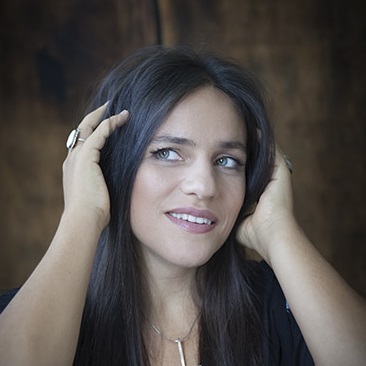 Her early career was influenced by Hungarian folk songs mixed with Bulgarian, Jewish and Gypsy music as a result of her inquiry to learn more about her ethnical roots. Bea takes traditional elements and builds something completely new from them that even hit radio stations like to pick up. The pure honesty of her lyrics inspires you to think, as she taps into social and personal topics of everyday life. Her amazing vocal skills, stage presence and ability to connect with her audience draws you in the very minute she walks into the spotlight. Now that she’s back from maternity, Bea is ready to return to the international scene with her always renewing soundscape.